Live chat enables website visitors to instantly message back and forth with a real person. All your customer has to do is click on the live chat window and they can instantly speak to a support or sales representative. Communicating through a website chat window reduces friction and improves the customer experience. One report found that 56% of millennials prefer live chat as opposed to the phone when communicating with a company. According to a recent study 73% of 20 to 35-year olds are involved in product or service specification and purchase decision-making at their companies, with one-third reporting that they are the sole decision-maker for their department. Architects, specifiers and contractors want convenience. For building product companies, it also offers an insight into how consumers are interacting with their website. An improved user experience: getting transferred through phone switchboards to find the right person, filling out long forms or waiting for an email can be frustrating. With live chat the answers are immediate. Better customer service: your staff can look up drawings, specifications or transfer it to another member of the team when trickier questions come up. You can also start putting together a bank of frequently asked questions to help your customers faster. Pro-active approach: perhaps your product is bespoke? The ability to contact your customers whilst they’re on your website allows you to help customers who may not be able to find what they’re looking for. Content ideas: with your customer interactions logged, it’s easier to spot trends in what people are asking for. If downloadable BIM files are a frequent question, why not look at adding it to your product pages? Requires human attention: you can turn it off and instead you’ll get the questions as emails, but this adds friction for the customer. You can have multiple users for live chat rather than a dedicated employee. Human attention again becomes tricky outside working hours. Fortunately a Chatbot can be used outside of these hours to handle basic queries. It isn’t perfect on mobile: personally, I don’t like using live chat on mobile. The ability to multitask whilst waiting for a response is somewhat taken away and typing can become tedious. Not everybody likes it: less tech-savvy users may prefer speaking on the phone and inappropriately used pre-written responses can damage the customer experience. Buyer’s nowadays want help, right now. Live chat ensures architects, contractors and consultants are making an enquiry with you rather than on a competitor’s website. If they’ve been in contact before, they may get frustrated if they have to repeat themselves. It’s part of an omnichannel strategy. Increasing conversions: the ability for a real-person to navigate your customers through a purchase will instil trust, confidence and a positive experience leads to a higher order value. Keeping your customers up to date: lead times on made to order building products and delivery schedules may change daily, being able to answer these questions immediately may be the difference between a sale or a customer going to another competitor. Technical questions: for example, questions around specifications, test and performance data and installation information. 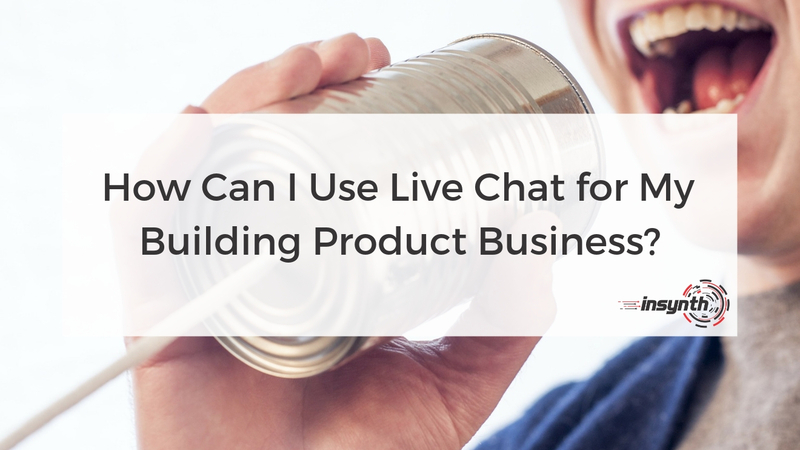 Competitive advantage: only 6% of the building products industry are using live chat on their website. There’s a massive opportunity to provide a better service than your competition. Drift – offers an excellent range of integrations including Slack, Google Calendar as well as many popular CRM systems. The dashboard provides conversation analytics and you can set up routing to make sure the right leads get to the right person on your team. Priced from free and then from £30 per month if you want it integrated with your CRM. HubSpot Live Chat – this is included within the free HubSpot CRM, you’ll know exactly who you’re chatting with and their history, be it a prospect, long-time customer, or new contact. A free chatbot is included too, this enables you to automate and scale your live chat conversations as well as book meetings. ZenDesk Chat – offering in-depth analytics, you can monitor your support in real-time with metrics on wait times, chat durations and sales conversions over chat. ZenDesk offers a free ‘Lite’ version which allows 1 conversation to be answered at once. Prices are then from £12 per agent per month. 82% of consumers feel that an “immediate” response is important when they have a sales or marketing question, this rose to 90% for those with customer service enquiries. Immediate broadly defined as 10 minutes or less. Live chat could be the difference between someone landing on your website and leaving or landing on your website and engaging. Having a live chat system that is embedded in your CRM system, such as Hubspot, can further automate responses and give you deeper insights into your customer’s needs. It's also free! With live chat being the most satisfactory way of communicating with customers, it is a must in 2019. Live chat offers the visitor an average response time of 2 minutes. The average answer for an email is 12 hours and for social media, it's 10 hours. This shows how crucial live chat can be to generating leads on your website. 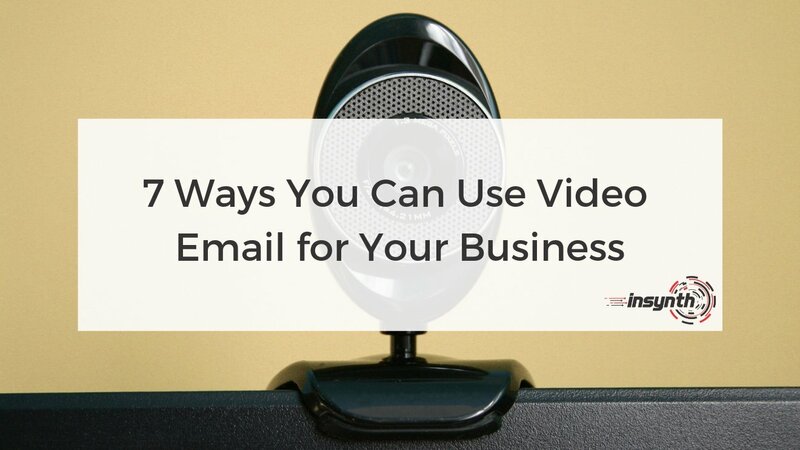 ■ Are You Using Video Email Yet?